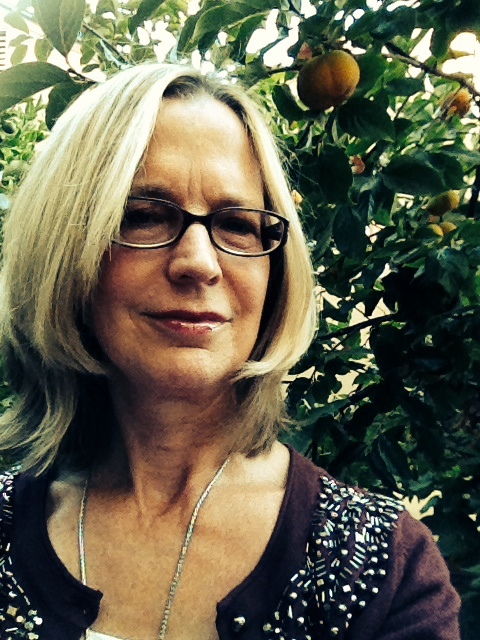 Susan Bono is a freelance editor and writing instructor whose other passion is publishing personal narratives. In 1995, she established Tiny-Lights, a journal dedicated to the personal narrative. She also developed a companion website that features a monthly writers’ exchange called “Searchlights & Signal flares,” as well as “instant essays” (500 words or less) for a quarterly posting called “Flash in the Pan.” She is on the board of the Petaluma Readers’ Theatre and edits The Noyo River Review for the annual Mendocino Writer’s Conference. On a personal note, I’m thrilled to have Susan as a guest today! Please tell us about yourself and your writing. I grew up in a small California farming town, and have lived in another small town for 33 years. Even though I once dreamed about living an unconventional life in some big city, after graduating from San Francisco State as a creative writing and English major, I ended up getting married, moving to Petaluma, and teaching high school English until my sons were born. Staying home with my two boys gave me time to write, but instead of the poetry and short stories I attempted in college, I began writing personal essays. I’ve always loved to read fiction, but writing personal narrative helped me make sense out of the world in ways writing fiction never could. Even though I complain that I have no dramatic tales to tell, I am still compelled to write about what it means to live my own quiet life. What inspired you to start Tiny Lights? In 1994, as a stay-at-home mom approaching forty, I took my first personal essay writing class at nearby Sonoma State University. (They didn’t offer nonfiction classes in the SF State creative writing department in the 1970s.) My teacher was Gerald Haslam, a salt of the earth mentor who humbly insisted that persistence was the key to his considerable success. Gerry encouraged my skills as a writer, and in the feedback I was expected to provide for my fellow students, I got in touch with my passion for editing. I decided to find a way to write, teach, and edit without going back into the high school classroom. As crazy as it seems to me now, in 1995 I decided to found a personal essay journal called Tiny Lights. This was in the time before email and the internet, so I posted flyers around the county and got 50 people to enter the first Tiny Lights essay contest. Their $5 entry fees paid for prize money, printing, and mailing my magazine. Word got around and more people entered and subscribed. The magazine grew, and I began to get opportunities to teach, edit, and write. That’s pretty much how the ball’s been rolling for the last nineteen years. What has been one of the more challenging aspects regarding Tiny Lights? In the early days, I welcomed the arrival of floppy discs because they allowed me to cut and paste essays onto the magazine pages instead of typing every word into the layout. I rejoiced a few years later when email attachments became the norm! I loved having an online presence when the internet was a novelty and .com and .org were the only games in town. I’ve never been a techie, but advances like these made my job easier and allowed me to expand my offerings. What started as an annual contest and two print issues eventually grew to include an online quarterly, a monthly writers’ exchange column, and a monthly e-letter. But as I built my little empire, I still had to do everything myself, and over time, I started feeling like I was working harder for fewer rewards. Add to that the pressure of providing content for Facebook, Twitter, Linkedin, and other social media (which I have resisted with great petulance), and after a while, there was never any time to pursue my real writing. I think every writer knows this struggle. You only have so much time and energy in a given day—how do you keep everything in balance? I also never feel like I have enough time to travel, garden, read, take photographs, sift through closets and drawers (they’re all full after thirty-three years in the same house! ), watch movies, go for hikes, hang out with my family and friends, etc. But that’s the stuff of life, and when I spend too much time at my desk, I have nothing to write about! I’m currently putting together a “best of” collection of my own writing as a way to put the last twenty or so years into perspective. It feels like a good way to shift my focus away from Tiny Lights, yet still acknowledge its place in my personal history and its continuing power in my creative life. After that, I’m not sure. I actually hope I am able to be directionless for a while and give myself a chance to find another calling. Anyone raised in a farming town knows you have to let your field lie fallow from time to time to let its creative forces regenerate. If your life is anything like mine, your greatest success will always come from your happiness, not the other way around. Find a way to be happy in your work, and success will naturally follow.